Even if Canada does give in to U.S. President Donald Trump's repeated attacks on the country's tariffs on dairy imports and its supply management system, some economists south of the border say it will not be enough to seal a new trade deal. There have been growing calls from both sides of the border for Canada to make concessions on its protected dairy sector in order to finally reach a new North American Free Trade Agreement with the United States. "Even Canadian concessions on dairy may not be enough to make the U.S. keep the current dispute resolutions," said Carlos Capistran and Mingzi Yi, economists at Bank of America Merrill Lynch, in a note. "Our baseline is that Canada will join the U.S.-Mexico agreement, making concessions on dairy, but that it likely will have to make some concession on dispute resolution as well." The current NAFTA's dispute resolution mechanism, known as Chapter 19, allows companies that feel their products have been impacted by anti-dumping or countervailing duties to request arbitration. Prime Minister Justin Trudeau said just last week that the process was needed, because Trump "doesn't always follow the rules." But U.S. economists argue the dispute resolution is "on the balance." They think Canada will make concessions on the mechanism to reach a trade deal with the U.S. this month. "Without Chapter 19, NAFTA is utterly useless as it would subject Canada and Mexico to the vagaries of the U.S. political system and its courts when determining trade policy actions," said Derek Holt, vice-president at Scotiabank Economics, in a note recently. "Abandoning Chapter 19 is the Trump administration's way of attempting to gut NAFTA." Holt adds that Mexico has left it entirely to Canada to stand up for a dispute resolution by agreeing to eliminate it, and only keep some safeguards. Canada has the right to oppose such an agreement, he said. 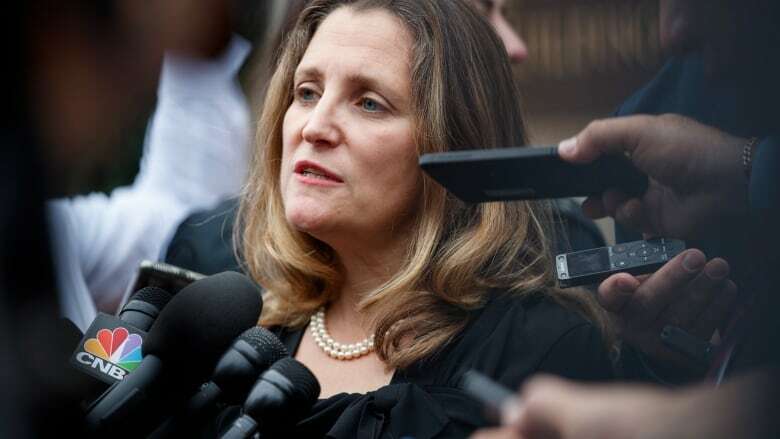 "Prime Minister Trudeau is right in that no deal — and waiting for more reason in future — is better than permanently signing onto a feature that guts NAFTA," Holt said.